Only Burger started in 2008 as a food truck serving--wait for it--burgers. They have been featured in The New York Times and Martha Stewart Living and finished second in a food truck competition on Food Network. 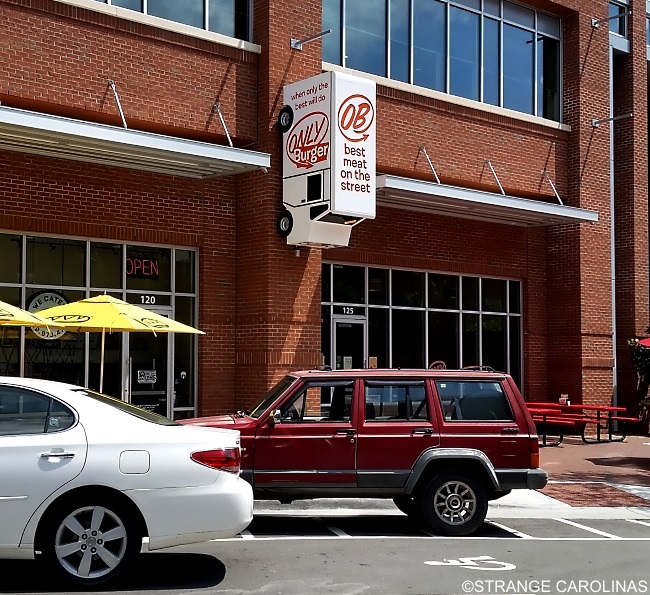 Because their mobile burger operation proved so popular, they now have two restaurants in Durham in addition to their food truck. It's their location near the Durham Bulls' stadium that stands out for us. Right by the door, suspended above your head, is a miniature Only Burger food truck.